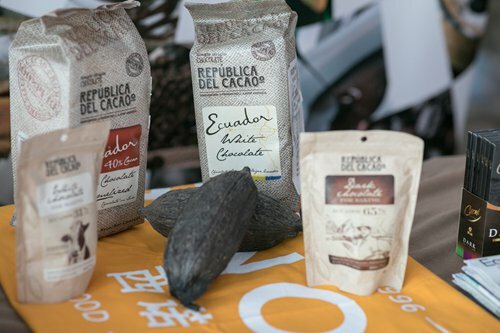 Ecuador, a global leader in the production and exportation of premium fresh foods and other agricultural products, successfully staged the fourth edition of the Exquisite Ecuador China-focused promotional event on September 7 in Shanghai. Exquisite Ecuador 2018 was organized by Ecuadorian export promotional institute ProEcuador and the Consulate General of Ecuador in Shanghai. The event aimed to introduce to a Chinese audience the quality and diversity of foods from Ecuador. Ecuadorian chocolates, bananas, shrimp and mangoes and the country's unique and world-class gastronomic culture as well as thrilling travel and gastronomic tourism opportunities for Chinese citizens were on display. 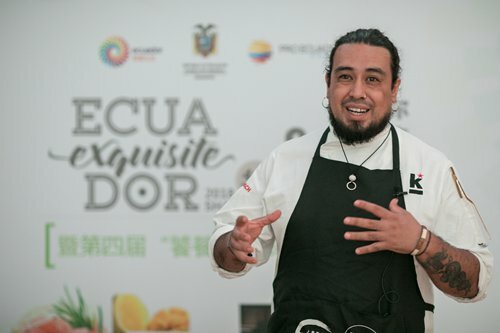 In addition to remarks from the Consul General of Ecuador in Shanghai, Karina Morales, and Commercial Consul of Ecuador in Shanghai, Santiago Yánez, the food promotion function of Exquisite Ecuador 2018 was anchored by a live cooking demonstration from Madrid-based Ecuadorian chef Javier Endara, a master of fusion cuisine. In order to highlight the characteristics and versatile uses of the aforementioned four Ecuadorian food products to Chinese chefs, Endara created a menu which married Ecuadorian and Chinese ingredients and flavors into mouth-watering delicacies such as, "shrimp ceviche with tiger's milks of mango and Sichuan pepper." 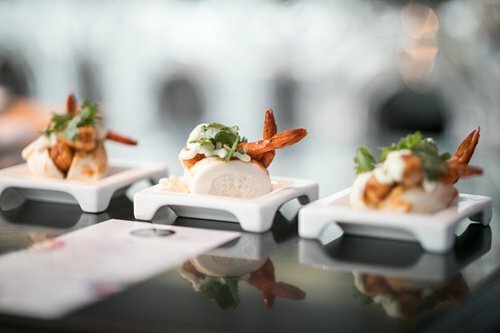 "This 4th edition of Exquisite Ecuador has been created to promote Ecuador as an exporter of premium products, its gastronomy and our chefs' talent," said Yánez during the on-site press conference that kicked off the event. During the event, Yánez trained chefs and media about the unique characteristics of the four products Ecuador is selling in China. 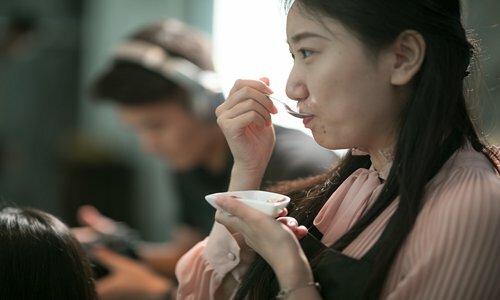 "It was great to have the opportunity to present to media and chefs in Shanghai why our chocolate, bananas, shrimp and mango are unique. They have become our product ambassadors to help us spread the word in China." 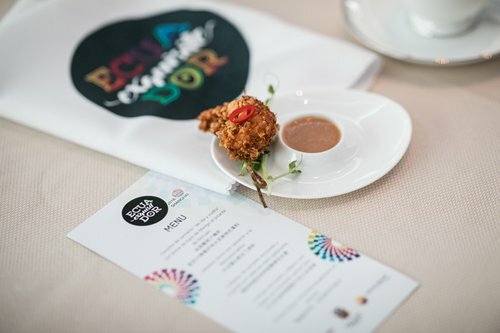 The Exquisite Ecuador event also served as an opportunity for sponsors AeroMexico and travel agency Super Latin to respectively introduce China to Latin American flight routes and Ecuadorian gastronomic tourism packages. As a tourism destination, Ecuador boasts the world's most compact diversity of geography, indigenous cultures and plant and animal species, containing the Galápagos Islands, Amazon rainforest, pacific coast and Andean highlands. "I am delighted to meet so many distinguished guests to Exquisite Ecuador 2018 who are interested in Ecuador, in our cuisine and culture," said Morales in her welcoming remarks. "There is no better reflection of the essence of a country's culture than its cuisine. 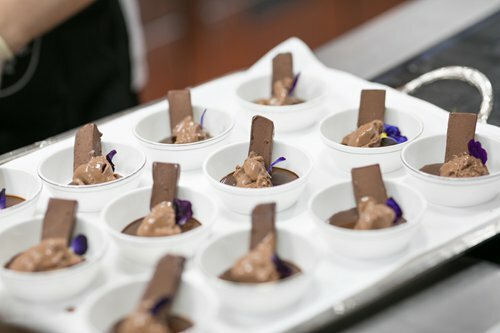 Today, with a new generation of chefs who prepare traditional flavors and ingredients with avant-garde techniques, Ecuadorian cuisine is giving something to talk about in the world." This story is based on a press release from the Consulate General of Ecuador in Shanghai.